Many of the buyers in Honduras are focused in and around Santa Barbara. We figured that if we are going to do something new in Honduras we should do a different range of coffees from another area. And find producers with great potential that need help to build a market for their products. Hopefully we can contribute to product development, higher premiums and build something over time. Even if Honduras haven’t been one of our main origins we have always carried a small range of great coffees from the Caballeros family in Marcala. From 2017 we decided to step up and have taken on a new project and slowly increase volumes. The coffees from Honduras can be so amazing when they are from the right places and are processed well. In our opinion they often have more complexity, depth and richness than most other Central American coffees. It’s like if they are a mix of classic coffees from Central America and Colombia. They can often be creamy and sweet with developed mature fruit notes. They are generally fruit driven and super clean without any processing flavors, and can be way more complex than most other coffees from the region. We are mainly doing micro lots, but have started to build in some medium sized lots at slightly lower prices as we think they have so good potential for espressos etc. They are generally used for filters and as single origin espresso but can work perfectly well in blends too. They are balanced, with great body and structure. The flavors ranges from red berries, plum, cacao, black berry, florals and citrus fruits. While Caballeros is a larger producer with several farms and a central wetmill, we have initiated a partnership with a group of growers in Intibuca. These producers are smaller with 3-8 hectares each, and they all have their own micro mill. They are supported by a guy, called Rony, that are helping them on quality control and better preparation as well as better yields. We came across these producers and the region through him. When we got the first samples we were overwhelmingly surprised by the flavor profiles and potential. These coffees are introduced now in 2017 for the first time ever. The prices we pay to producers for micro lots is more than 2 times the current c-market price and/or the Fairtrade minimum prices. The coffees are always traceable back to a specific farm and cultivar. We have full traceability on stock lots. The way we source coffee there now is based on two smaller projects. There is Caballero farms that is a family runned operation with many different farms and one wet mill. The other project is our new “Intibuca” concept, where we are focusing in one area with many smaller producers with their own individual small wet mills and drying facilities. We started to buy coffees from Caballeros already in 2012. We have focused on a small selection of their coffees. 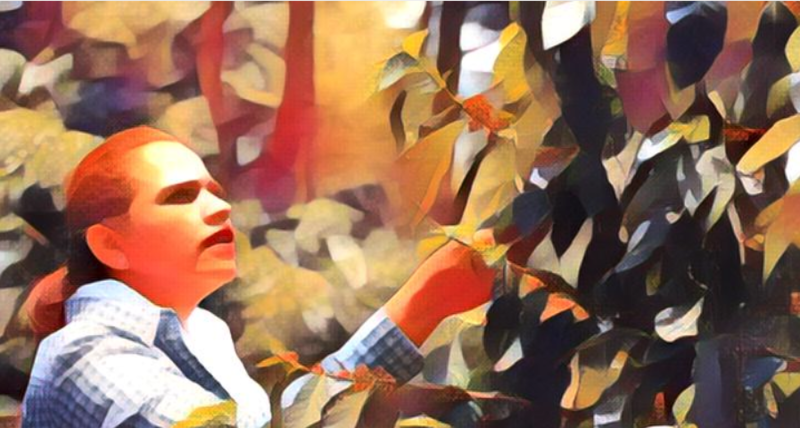 Marysabel Caballero and her husband Moises Herrera are working with over 200 hectares of land, planted with coffee, together with Marysabel’s father Fabio Caballero. They are 2nd and 3rd generation coffee farmers and Fabio has been rewarded many times for his commitment to developing coffee quality in Honduras. We have known the family since mid 2000, and Nordic started buying coffee from them in 2012. We carry a broad range of coffees from their different farms. It’s mainly of the catuai cultivar, but some are also mixed or of other cultivars. The coffees are extremely well taken care of in the process. They have improved drying facilities and methods too. While we have a close personal relationship with the Caballeros, Intibuca is a completely new thing for us that we would have to dig into the next few years. We are working through a guy on the ground that are contributing to quality development in the Masaguara, Intibuca region.It’s a region he’s explored for 3 years with great success. We have found exceptional coffee of small growers with an average production of 20 to 50 bags. There is about 250 growers in the program, but we are currently just buying from a handful. 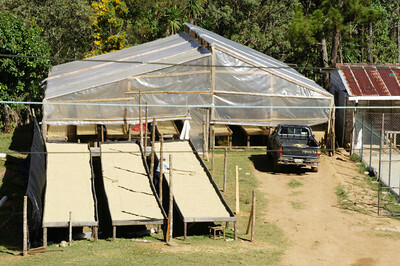 Each grower has it’s own small mill and african beds for optimal drying ( of 12 to 22 days), and they have made loads of improvements of processing since the project started. All lots are separated by cultivar. This region is special and ample. And it’s needed to bring more importers and roaster closer to the producers. We have some insight in how they work and a good overview of their standards, but have a lot to learn. This regions and the producers are not yet well known We will try to developed the products and the market together. Historically we have always paid good premiums for the coffees and have been all transparent about it. In return the producers have been very committed to invest in quality development. We hope to get roasters visiting them during the next years to be developing their own relation with these farmers, and also potentially also curate their own range of products. We believe sharing information both ways will contribute to better coffees and a higher price acceptance at consumer level. Eventually this can lead to a more sustainable price level for the farmers and higher salaries and better working conditions for the workers and families. The main cultivars used for our producers is Catuai. We have also seen some surprisingly good results of Lempira, the local Catimor. We do also buy some coffees of other Bourbon and Typica cultivars. So far we are only buying washed coffees from Honduras. Many of coffees we are doing is produced by eco pulpers. This is good for the environment as they saves a lot of water. The water used can also be recycled. Generally it will remove about 80-90% mucilage before they dry them. In Honduras they call those coffees washed. In other places they would call them white honey. A broad range of our coffees from the Caballeros are washed and soaked, meaning they remove as much mucilage as they can before they soak the parchment over night in clean water. This will remove any remains of mucilage. Some are also doing a traditional fermentation process. They keep all the mucilage, ferment it with or without water overnight, rinse and wash it in clean water, before it is dried on either patios or raised beds. Cultivars: Mainly Catuai, some other Bourbon cultivars and Lempira.